Xtreme Xcellence detailers use the No Noise, No Water Pollution Detailing Solution developed and recently introduced by Total Pros. This eco-friendly process conserves water and prevents contaminated water from being released into the ecosystem. 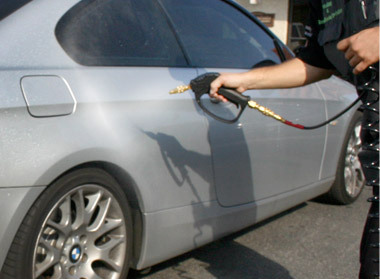 It is perfect for most basic quick wash, express detailing, or high-end detailing situations, and it is easier and more affordable than the old system, which required cumbersome tanks of water, 2000 psi pressure washers, and huge air compressors. 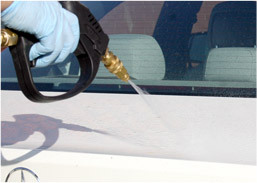 Detailers now require only about one pint of water to wash a vehicle, a quart of water for an RV, and less than half a gallon of water for a small aircraft, bus, or boat. 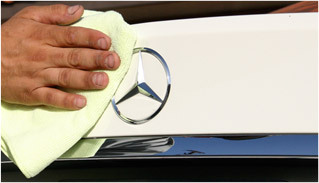 The system uses a combination of DI water and environmentally safe chemicals, along with microfiber towels, to eliminate dirt, grime, and contaminants from all surfaces of the vehicle, including engines, wheels, and wheel wells, in just half the time and with half the effort. 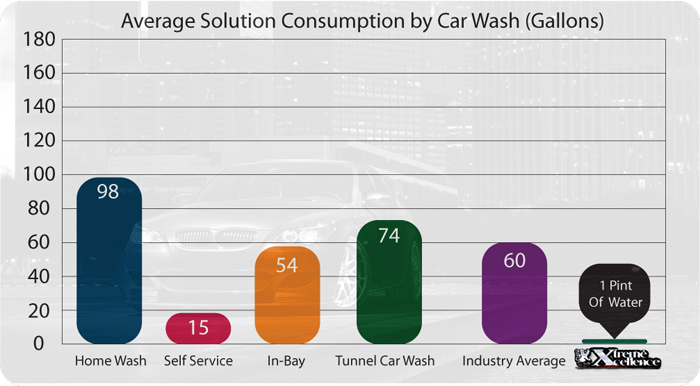 The No Noise, No Water Pollution Detailing process is perfect for ecologically minded customers who value and are willing to embrace innovative, green technology solutions that deliver high-end detailing results.